Send A Message To Robb. Session Fees: $135 per session. I accept Visa, MasterCard, American Express, Discover, PayPal, Debit, etransfer and Cash. If finances are an obstacle, sliding scale is available . First Nations clients may be eligible for funded sessions. Please call to inquire. Robb was born and raised in Kamloops, BC and, together with his wife, is raising 3 children. 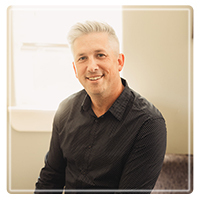 Robb has worked in this community as a counsellor and as a teacher, and is highly respected for his energy and his ability to connect with young people. He has extensive experience working with children and youth, and a clear and direct approach to working with families and couples. Robb has been a teacher in the Kamloops/Thompson School District for 11 years and has taught both in Europe and locally. His experience includes working with youth and adults who have experienced multiple barriers and face situations of extreme oppression and risk. Robb also has experience working as a family counsellors in Kamloops with teenagers, families and couples. Robb focuses on couples/marriage counselling. He specializes in working with families (adolescents/tweens/teens) that are experiencing conflict in relationships in the home / school. Dignity is the cornerstone of Robb’s counselling practice, and the understanding that we all do everything we can to preserve dignity when faced with oppression, violence or adversity. Robb views the challenges that people face in the context of their lives, rather than looking at an explanation that only includes the individual. Although problems can seem overwhelming, with support, couples, families and individuals can overcome problems and discover new tools and strengths. Counselling empowers couples, families and individuals to help themselves. Response-Based approach to counselling explores challenges within the mental, physical and social context in which we live. Our struggles cannot be looked at in isolation; we must consider the broader context in which they take place. Change is possible no matter how bad things get. Robb acknowledges that it is important to receive tools and practical concrete solutions in counselling to deal with the struggles and conflict you might be experiencing. Robb has a great sense of humour and has the ability to make people feel comfortable quickly in sessions. His calm, positive and energetic demeanour is effective. Many clients have provided feedback that Robb's ability to connect and make them feel comfortable has helped therapeutic process. If you are First Nations and have a Status number please let Robb know and your sessions might be covered and fully funded. If finances are an obstacle for you, please call and see what can be worked out. A percentage of Robb's practice is reserved for sliding scale and pro-bono work. Robb is a Response-Based Certificate Student and he studied for his Masters Degree both at Thompson Rivers University in Kamloops and internationally at Heidelberg University in Germany. He has a flexible schedule and is available for sessions afternoons, evenings, early mornings, weekends and holidays. Alternative locations are a possibility, please ask Robb about this. Sessions are available in person and via phone, FaceTime or Skype if needed.